Title: The curtain rises ... Contemporary plays and books on the Current Theatre. 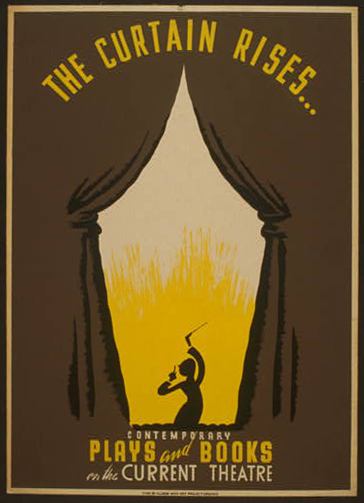 Summary: Poster about contemporary works "on the Current Theatre," showing a conductor standing before an open theatre curtain. Date stamped on verso: Jan 8 1942.